This tutorial is going to show you how to install OpenConnect VPN server on Ubuntu 16.04/18.04. OpenConnect VPN server, aka ocserv, is an open-source implementation of Cisco AnyConnnect VPN protocol, which is popular among businesses and universities. AnyConnect is a SSL-based VPN protocol that allows individual users to connect to a remote network. Lightweight and fast. 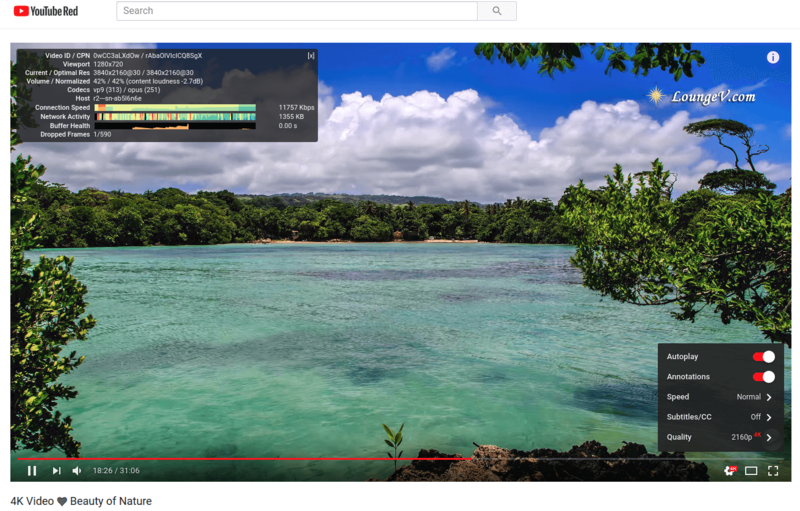 In my test, I can watch YouTube in 4k with OpenConnect VPN. YouTube is blocked in my country. The gnutls-bin software package provides tools to create your own CA and server certificate, but we will obtain and install Let’s Encrypt certificate. The advantage of using Let’s Encrypt certificate is that it’s free, easier to set up and trusted by VPN client software. A VPS (Virtual Private Server) that can access blocked websites freely (Outside of your country or Internet filtering system). I recommend Vultr. They offer 512M memory high performance KVM VPS for just $2.5 per month, which is perfect for your private VPN server. Once you have a VPS, install Ubuntu 16.04 or Ubuntu 18.04 on it and follow the instructions below. You also need a domain name. I registered my domain name from NameCheap because the price is low and they give whois privacy protection free for life. Log into your Ubuntu 16.04/18.04 server. Then use apt to install the ocserv package,which is included in Ubuntu repository since 16.04. By default OpenConnect VPN server listens on TCP and UDP port 443. If it’s being used by web server, then the VPN server can’t be started. We will see how to change the port in OpenConnect VPN configuration file later. Run the following commands to install the latest version of certbot from the official PPA. software-properties-common is required if you want to install packages from PPA. It may be missing on your Ubuntu server. If there’s no web server running on your Ubuntu 16.04/18.04 server and you want OpenConnect VPN server to use port 443, then you can use the standalone plugin to obtain TLS certificate from Let’s Encrypt. Run the following command. Don’t forget to set A record for your domain name. certonly: Obtain a certificate but don’t install it. --preferred-challenges http: Perform http-01 challenge to validate our domain, which will use port 80. By default the standalone plugin will perform tls-sni challenge, which uses port 443. Since port 443 is already used by OpenConnect VPN server, we need to change the default behavior. --agree-tos: Agree to Let’s Encrypt terms of service. --email: Email address is used for account registration and recovery. -d: Specify your domain name. As you can see the from the following screenshot, I successfully obtained the certificate. If your Ubuntu 16.04/18.04 server has a web server listening on port 80 and 443, and you want OpenConnect VPN server to use a different port, then it’s a good idea to use the webroot plugin to obtain a certificate because the webroot plugin works with pretty much every web server and we don’t need to install the certificate in the web server. First, you need to create a virtual host for vpn.example.com. And paste the following lines into the file. Save and close the file. Then create the web root directory. Set www-data (Apache user) as the owner of the web root. Reload Apache for the changes to take effect. Once virtual host is created and enabled, run the following command to obtain Let’s Encrypt certificate using webroot plugin. Paste the following lines into the file. Set www-data (Nginx user) as the owner of the web root. Reload Nginx for the changes to take effect. First, configure password authentication. By default, password authentication through PAM (Pluggable Authentication Modules) is enabled, which allows you to use Ubuntu system accounts to login from VPN clients. This behavior can be disabled by commenting out the following line. If we want users to use separate VPN accounts instead of system accounts to login, we need to add the following line to enable password authentication with a password file. After finishing editing this config file, we will see how to use ocpasswd tool to generate the /etc/ocserv/ocpasswd file, which contains a list of usernames and encoded passwords. Note: Ocserv supports client certificate authentication, but Let’s Encrypt does not issue client certificate. You need to set up your own CA to issue client certificate. Next, if you don’t want ocserv to use TCP and UDP port 443, then find the following two lines and change the port number. Otherwise leave them alone. Then find the following two lines. We need to change them. Replace the default setting with the path of Let’s Encrypt server certificate and server key file. Then, set the maximal number of clients. Default is 16. Set to zero for unlimited. Set the number of devices a user is able to login from at the same time. Default is 2. Set to zero for unlimited. Next, find the following line. Change false to true to enable MTU discovery, which can optimize VPN performance. After that, set the default domain to vpn.example.com. The IPv4 network configuration is as follows by default. This will cause problems because most home routers also set the IPv4 network range to 192.168.1.0/24. Now uncomment the following line to tunnel all DNS queries via the VPN. Change DNS resolver address. You can use Google’s public DNS server. 10.10.10.1 is the IP address of OpenConnect VPN server in the VPN LAN. This will speed up DNS lookups a little bit for clients because the network latency between the VPN server and the DNS resolver is eliminated. Then comment out all the route parameters (add # symbol at the beginning of the following four lines), which will set the server as the default gateway for the clients. Save and close the file Then restart the VPN server for the changes to take effect. On Ubuntu 16.04 and Ubuntu 18.04, ocserv daemon ocserv.socket does not respect “listen-host” value from configuration file, which will cause the following error when clients connect to VPN server. DTLS handshake failed: Resource temporarily unavailable, try again. Comment out the following two lines. Stop ocserv.socket and disable it. The ocserv systemd service won’t output any message if it fails to restart, so we need to check the status to make sure it’s actually running. Now use the ocpasswd tool to generate VPN accounts. You will be asked to set a password for the user and the information will be saved to /etc/ocserv/ocpasswd file. To reset password, simply run the above command again. In order for the VPN server to route packets between VPN client and the outside world, we need to enable IP forwarding. Edit sysctl.conf file. Add the following line at the end of this file. Save and close the file. Then apply the changes with the below command. The -p option will load sysctl settings from /etc/sysctl.conf file. This command will preserve our changes across system reboots. Find the name of your server’s main network interface. As you can see, it’s named ens3 on my Ubuntu server. Then run the following command to configure IP masquerading. Replace ens3 with your own network interface name. The above command append (-A) a rule to the end of of POSTROUTING chain of nat table. It will link your virtual private network with the Internet. And also hide your network from the outside world. 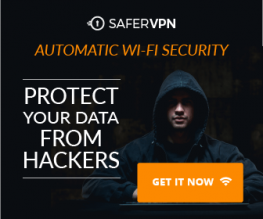 So the Internet can only see your VPN server’s IP, but can’t see your VPN client’s IP, just like your home router hides your private home network. You can see the Masquerade rule. Run the following command to open TCP and UDP port 443. If you configured a different port for ocserv, then open your preferred port. By default, iptables ruls are lost after reboot. To preserve them, you can switch to root user and then save your rules to a file. Then create a systemd service file so that we can restore iptables rules at boot time. Put the following lines into the file. Save and close the file. Then reload systemd daemon and enable iptables-restore service. Remember to save iptables rules to the file after making changes. Run the following command to install OpenConnect VPN command line client on Ubuntu desktop. You can Connect to VPN from the command line like below. -b flag will make it run in the background after connection is established. You will be asked to enter VPN username and password. If connection is successfully established, you will see the following message. Established DTLS connection (using GnuTLS). Ciphersuite (DTLS1.2)-(RSA)-(AES-256-GCM). To run the client non-interactively, use the following syntax. If you want to use Network Manager to manage VPN connection, then you also need to install these packages. If you are successfully connected to the VPN server, but your public IP address doesn’t change, that’s because IP forwarding or IP masquerading is not working. I once had a typo in my iptables command, which caused my computer not being able to browse the Internet. Another time, my iptables restore service failed after a reboot. To let OpenConnect VPN client automatically connect to the server at boot time, we can create a systemd service unit. Put the following lines to the file. Replace the red text. Save and close the file. Then enable this service so that it will start at boot time. After=network-online.target and Wants=network-online.target make this service run after network is up. In reality, this service can still run before network is up. We add Restart=always and RestartSec=2 to restart this service after 2 seconds if this service fails. Systemd doesn’t recognise pipe redirection. So in the ExecStart directive, we wrap the comand in single quotes and run it with the Bash shell. Since OpenConnect VPN client will run as a systemd service, which runs in the background, there’s no need to add -b flag to the openconnect command. They can be downloaded from OpenConnect GUI Github Page. OpenConnect VPN is pretty fast. I can use it to watch 4k videos on YouTube. Edit root user’s crontab file. Add the following line at the end of the file. It’s necessary to restart ocserv service for the VPN server to pick up new certificate and key file. OpenConnect by default uses TLS over UDP protocol (DTLS) to achieve faster speed, but UDP can’t provide reliable transmission. TCP is slower than UDP but can provide reliable transmission. One optimization tip I can give you is to disable DTLS, use standard TLS (over TCP), then enable TCP BBR to boost TCP speed. To disable DTLS, comment out (add # symbol at the beginning) the following line in ocserv configuration file. Save and close the file. Then restart ocserv service. To enable TCP BBR, please check out the following tutorial. In my test, standard TLS with TCP BBR enabled is two times faster than DTLS. Note that if you are using OpenVZ VPS, make sure you enable the TUN virtual networking device in VPS control panel. If you encounter any problem, then check OpenConnect VPN server log. I found that if I change port 443 to a different port, the great firewall of China will block this VPN connection. Sometimes the speed drops to around 1Mbps, probably due to the fact that the great firewall of China is interrupting VPN connections because if I use Shadowsocks proxy on the same server, I can watch YouTube at 50Mbps. Normally a port can only be used by one process. However, we can use HAproxy (High Availability Proxy) and SNI (Server Name Indication) to make ocserv and Apache/Nginx use port 443 at the same time. First, edit ocserv configuration file. Uncomment the following line. This will allow ocserv to obtain the client IP address instead of HAproxy IP address. Then find the following line. This will make ocserv listen on 127.0.0.1 because later HAproxy will need to listen on the public IP address. Save and close the file. Then restart ocserv. Next, we also need to make the web server listen on localhost only, instead of listening on public IP address. If you use Nginx, edit the server block file. In the SSL server block, find the following directive. This time we make it listen on 127.0.0.2:443 because 127.0.0.1:443 is already taken by ocserv. Save and close the file. Then restart Nginx. Copy and paste the following lines to the end of the file. Replace 12.34.56.78 with the public IP address of your server. Replace vpn.example.com with the domain name used by ocserv and www.example.com with the domain name used by your web server. Save and close the file. Then restart HAproxy. In the configuration above, we utilized the SNI (Server Name Indication) feature in TLS to differentiate VPN traffic and normal HTTPS traffic. When vpn.example.com is in the TLS Client Hello, HAProxy redirect traffic to the ocserv backend. When www.example.com is in the TLS Client Hello, HAProxy redirect traffic to the nginx backend. If the client doesn’t specify the server name in TLS Client Hello, then HAproxy will use the default backend (ocserv). You can test this setup with the openssl tool. First, run the following command multiple times. We didn’t specify server name in the above command, so HAproxy will always pass the request to the default backend (ocserv), and its certificate will be sent to the client. Next, run the following two commands. Now we specified the server name in the commands, so HAproxy will pass request accordingly. Note that the Cisco AnyConnect App doesn’t support TLS SNI, so it’s better to set ocserv as the default backend in HAProxy configuration file. When renewing Let’s Encrypt certificate for your website, it’s recommended that you use the http-01 chanllenge instead of tls-sni-01 chanllege, because HAproxy is listening on port 443 of the public IP address, so it can interfere with the renew process. backend nginx has no server available! It maybe because your backend Nginx web server is using a TLS certificate with OCSP must staple extension. Nginx doesn’t send the OCSP staple information on the first HTTP request. To make it work, be sure to add a resolver in your Nginx virtual host configuration like below. Save and close the file. Then restart Nginx. The PCI council deprecated TLS 1.0 in June 30, 2018 and main stream web browsers are going to disable TLS 1.0 and TLS 1.1 in 2020. We should do the same with VPN server. Edit the main configuration file. To disable TLS 1.0 and TLS 1.1 in OpenConnect VPN server, just add -VERS-TLS1.0 and -VERS-TLS1.1 in the line. Save and close the file. Then restart ocserv. Now ocserv will only accept TLS 1.2. For further information on configuring the TLS parameter in ocserv, please see GnuTLS priority strings. To check if TLS 1.0 is supported in your OpenConnect VPN server, run the following command. If you see the following message in the output, that means the TLS version is not supported. I tried to enable TLS 1.3, but it is not supported yet in the ocserv package on Ubuntu. That’s it! I hope this tutorial helped you install and configure OpenConnect VPN on Ubuntu 16.04 and Ubuntu 18.04. As always, if you found this post useful, then subscribe to our free newsletter. So what is your country? Ubuntu 16 has and old version of ocserv. Now I’m working on compiling it to work on ubuntu, but seems like ocserv is more compatible with debian. Still I got some errors if I want to run it as service using systemctl. Is this the only vpn working in china? Microsoft SSTP is working? OpenVPN port 443 working? I now only use self-hosted OpenConnect VPN and Shadowsocks proxy in China. They are very stable. I used OpenVPN before with a VPN provider. It worked but can be easily interrupted by the great firewall. I have never used Microsoft SSTP. also I wanted to tell you that the email your system sends, is going to spam folder. My email server complies with all legitimate email-sending practices. It takes time to build a good email reputation. Microsoft is very strict on accepting emails. Initially the emails are likely to go into spam folder. If many people mark my emails as not spam, then my emails are more likely to go to inbox. Shadowsocks proxy is not blocked in China? You can make OpenVPN connects to it and then it can work without being filtered by the great firewall? Shadowsocks is working. I don’t know the state of OpenVPN now because I haven’t used it for a long time. Could you please guide me on what could be the problem? This article does not require running a service as the nobody user. At which step did you see this error? I fixed it. Thanks for your help anyways. How can we disable TLS 1.0 in the OpenConnect VPN server config? I just added instruction on how to disable TLS 1.0 in OpenConnect VPN server. Please see the end of this article. Thanks for the TLS disablement update. I have set up the server successfully but I can’t route traffic through the VPN server. I can only ping the server successfully but can’t ping any other IP. Double check your sysctl config and iptables firewall config. Jan 29 11:52:02 ip-172-31-30-232 systemd: ocserv.service: Failed with result ‘exit-code’. Jan 29 11:52:02 ip-172-31-30-232 systemd: ocserv.service: Start request repeated too quickly. Jan 29 11:52:02 ip-172-31-30-232 systemd: Failed to start OpenConnect SSL VPN server. I am following your instructions to the letter but I run into this issue when trying to setup ocserv server. Has something changed since this guide was posted? indicates that you didn’t correctly specify the path to TLS certificate. If you go to the /etc/letsencrypt/live/ directory, you will understand what went wrong. Thanks for the speedy response. I should have mentioned that I removed the site’s domain from the nginx log. * From the ocserv log before posting it. Because of the execution of the certbot command as sudo, I suspect that this may be a permissions issue, because as a regular user I cannot access the certificates directory. – changing permissions and owner of the certificates. ocserv is still unable to read the certificates, at this point I’m not sure if it’s an issue with the certificate. The problem is that ocserv can’t load the TLS certificate file. Please make sure the TLS certificate exist in the /etc/letsencrypt/live/vpn.example.com/ directory and double check your /etc/ocserv/ocserv.conf file. From the log, I suspect that you added a whitespace at the end of the TLS certificate path. I haven’t set up outline VPN yet. From I have learned, Outline is based on Shadowsocks, which is a SOCKS5 proxy, not a VPN. Shadowsocks is very popular with Chinese netizens, used as a tool to bypass the Great Firewall. I have been using Shadowsocks for 3 years. It’s super fast. Thank you, real detailed guide. Love this guide. Is there anything we can do to enable having an IPV6 address along with an IPV4 address? Excellent guide! Thank you so much! !